Ken Hitchcock wants Edmonton Oilers fans to brace for a wild ride. Edmonton's head coach thinks games will get tighter through the second half of the NHL season and look more like the intense action that saw the Oilers beat the Vancouver Canucks 3-2 in a shootout on Wednesday. "You're going to be in a battle and there's going to be a lot of emotional times. And for me, if you're a fan of hockey, you're going to love this," said Hitchcock. "If you're just looking for wins, you're going to go through a roller-coaster ride. Edmonton hockey lovers could be in for some excitement if that's the case. A heart-racing overtime saw breakaways at both ends of the ice on Wednesday. Darnell Nurse swiped the puck from Edmonton's crease half-way through the extra time to keep the Oilers in the game. The play resulted in an Edmonton rush where Leon Draisaitl put a shot into the logo of Canucks goalie Jacob Markstrom. The shootout went into the fifth round before Alex Chiasson scored, who said watching Draisaitl's attempt helped him read Markstrom. 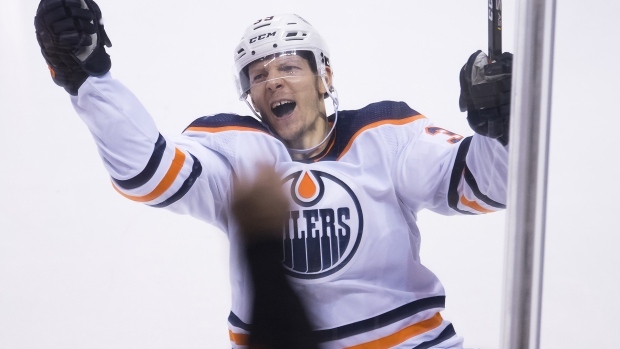 The Oilers can take a lot from tight games, said the right-winger. Edmonton (23-21-3) had not strung together two wins in a row since early December, and had lost their two previous match ups with the Canucks (21-21-6). "It's a tough building to play in. We've always had struggles," said Oilers captain Connor McDavid. "At least we were able to take advantage of it and get the two points." McDavid and Jujhar Khaira scored in regulation for Edmonton. The game saw Khaira move back to the left wing alongside Jesse Puljujarvi and Colby Cave, a centre the Oilers picked up off waivers from the Boston Bruins earlier this week. Hitchcock said he thinks Khaira does better on the wing and the native of Surrey, B.C., showed what he's capable of on Wednesday with a spinning wrist shot for a short-handed goal midway through the first period. "It was one of those things were it just kind of presented itself," Khaira said. "For myself, I need to be more of a shooter, so I'm just trying to focus on that right now. It's nice when it pays off." Brandon Sutter and Markus Granlund scored for Vancouver. Markstrom had 28 saves for the Canucks and Oilers goalie Mikko Koskinen stopped 20-of-22 shots. "It's fun hockey to watch and a little more nerve wracking to play but I like our game tonight," he said. "It was a grinding game, kind of that playoff feel against teams that are fighting for it and that's what they are going to be like down the stretch so I thought we played really well." Both the Oilers and Canucks are currently in on a multi-team race for the Western Conference's two wild card playoff spots. Next up, the Canucks host the Buffalo Sabres on Friday. The Oilers will kick off a three-game homestand on Saturday when they host the Calgary Flames.